Posted On November 10, 2016 by Team iCynosure. Legend has it that in the 17th century, a hundred pipers led the Scottish legendary hero, Bonnie Prince Charlie into battle against the British to reclaim the Britain throne. The music played by the pipers evoked courage in the army men while induced fear in the hearts of the enemy. This wonderful Scottish legend that has been sewn into many ballads is the inspiration behind the legendary Scotch Whiskey 100 Pipers. Similar to the tale the whiskey instills courage and strength in each of us with every sip we take, brining alive the epic story of victory by an astounding platoon of pipers. The legend also emphasises that when you take a sip of really good scotch, you can hear a piper play. And if the scotch is mellow, you may hear two; while you can hear three if the scotch is smooth. Some people hear as many as six or seven while Bonnie Prince Charles heard as many as nine. 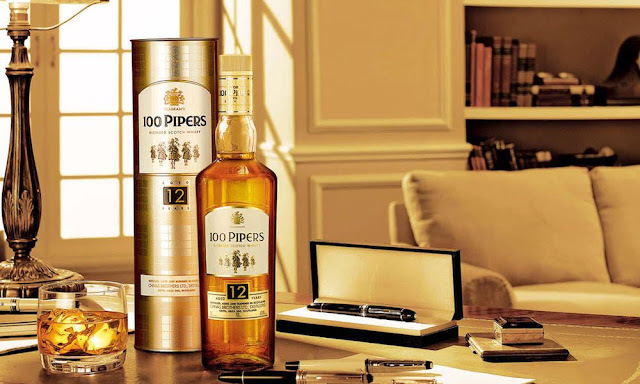 The tale is as interesting as it gets, a master blender was working in the Glen to mix a perfect combination to boost up a way to hear ten pipers. He spent a really long time perfecting the blend, mixing it, testing it, tasting it and testing it again and again. Until finally he took a sip to hear not one, not ten but a hundred pipers playing in his Glen. Each sip evolved similar emotions in him; those of courage and victorious; and he was triumphant. After the war, Seagram went to Scotland to find the secret to the perfect blend of whiskies. Scotches are known for the smoothness of their malts, some for the highness of the grain while some for the mellowness of their casks. However what Seagram wanted, was to bring the best of both these qualities together as #100Pipers. Exploring the length and breadth of Scotland, Seagrams picked the best of each district ..…. the rich Islay Whiskies from one famous scotch, the smooth Speyside Whiskies of another and a secret ingredient from their own highland distilleries; they tried 517 blends, to finally find a perfect combination of 30 Whiskies to produce the Seagrams 100 Pipers. It took more than 20 years and 530 different combinations to #BeRememberedforGood; a perfect blend that offers a Beautiful Aroma, Ethereal Taste, Creamy Texture, Complexed Character and Smooth Finish…. 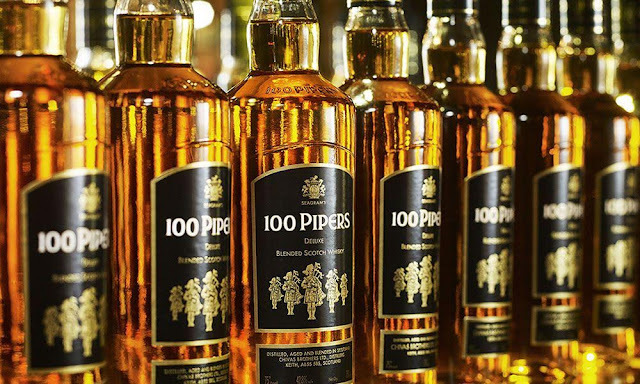 Seagram’s 100 Pipers.